Severn Stars’ Head Coach, Sam Bird, says her team has greater belief in being able to play well under pressure, after coming from behind to win their last match, as they face high-flying Loughborough Lightning this weekend. 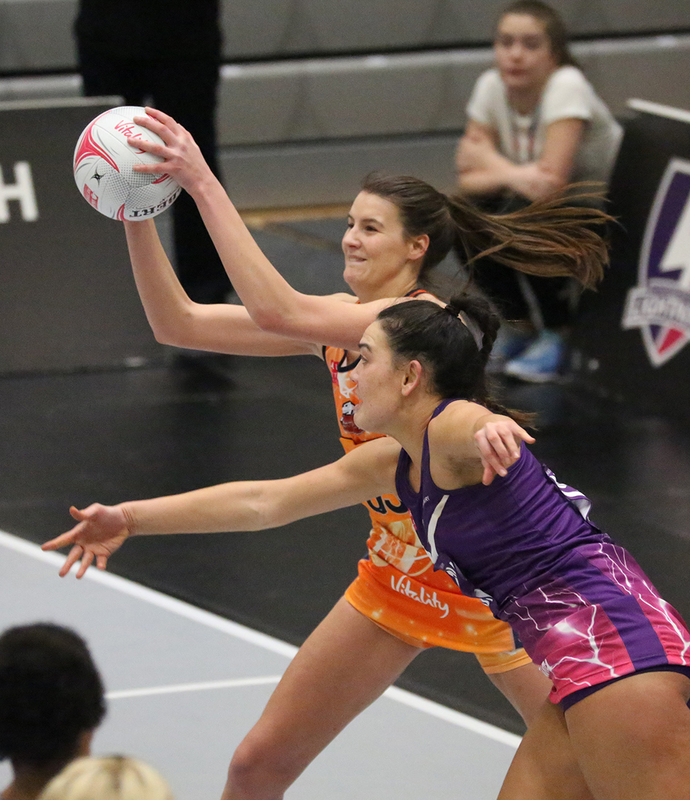 Stars will face the Vitality Netball Superleague’s fourth-placed side, who are only three points behind the top spot, at the University of Worcester Arena on Saturday 23rd March at 6pm. Bird said she was not underestimating the challenge her team faces, acknowledging that a neutral would have Loughborough as favourites, but said her side has the ability to challenge any team when they are consistent. She said the two sides did share some similarities. “Loughborough, like us, have a very tall goal shooter and she will be hard to break down, but we also have this strength so I think the key will be how well the team looks after the ball and capitalizes on the other’s errors,” she added. Stars, a joint franchise between the University of Worcester and the University of Gloucestershire, were boosted by an impressive win on the road against London Pulse last Saturday, coming from behind 25-28 at half-time to win the match 60-51. Sam described the way her team responded in the second half as “fantastic”. Stars also performed well the week before, pushing champions Wasps, despite the defeat. For tickets to this game or other Stars home games click here. Severn Stars’ Head Coach, Sam Bird, believes her team matches up well against Wasps Netball, as the sides face each other in the Midlands derby this weekend. Stars come off the back of a tough loss at home on Monday night against second placed Saracens Mavericks, but are looking to bounce back against the Coventry-based league leaders, when they play at the Ricoh Arena on Sunday 10th March, at 4pm. “I actually think we match up quite nicely to Wasps,” said Bird. “I think they play quite a lateral game, they don’t have that aerial capacity that Mavericks have at the back, so I’m looking forward to playing them. We know they are strong through the court, but I think we match up well player for player, particularly at the ends of the court. She also praised her players’ reaction to the Mavericks defeat. However, Bird was pleased with the way her team, which is a joint franchise between the University of Worcester and the University of Gloucestershire, had defended against Mavericks’ attacking line-up and is hoping for more of the same against Wasps. Severn Stars’ Head Coach, Sam Bird, is hoping her team can make it five wins in a row at home in their last game of the season. Stars’ recent positive form has seen them win four home games in a row, including the largest winning margin in the club’s history last weekend against Team Northumbria. Now Bird is keen to see a fifth against Celtic Dragons at the University of Worcester Arena on Monday (June 25, 7.30pm), to close out the season on a positive note for their fans. “We are really keen to obviously give our fans a great performance in our last home game,” she said. “We love playing at home. We like to be able to prepare and we’re really looking forward to it. It’s really important that we go out and perform how we can to just round everything up. It’s the last chance for the players to play this season and will be an emotional day for me as I’m so proud of how far the squad has come. Last Saturday (June 16) saw the team defeat Team Northumbria by 30 goals, 63-33. Bird said she believed such a result showed the team’s progress over the course of the season. Bird added that, despite their winning form, Stars were prepared for a tough test against Welsh side Dragons.